The Sephra 0.44.10173 (CF44R4) chocolate fountain will help you create an elegant display for your private venue, catered event, or dessert buffet. The fountain has five tiers and a maximum height of 44 inches, although it can be adjusted down to 34 inches, which gives you the versatility to serve a smaller number of people without wasting chocolate. 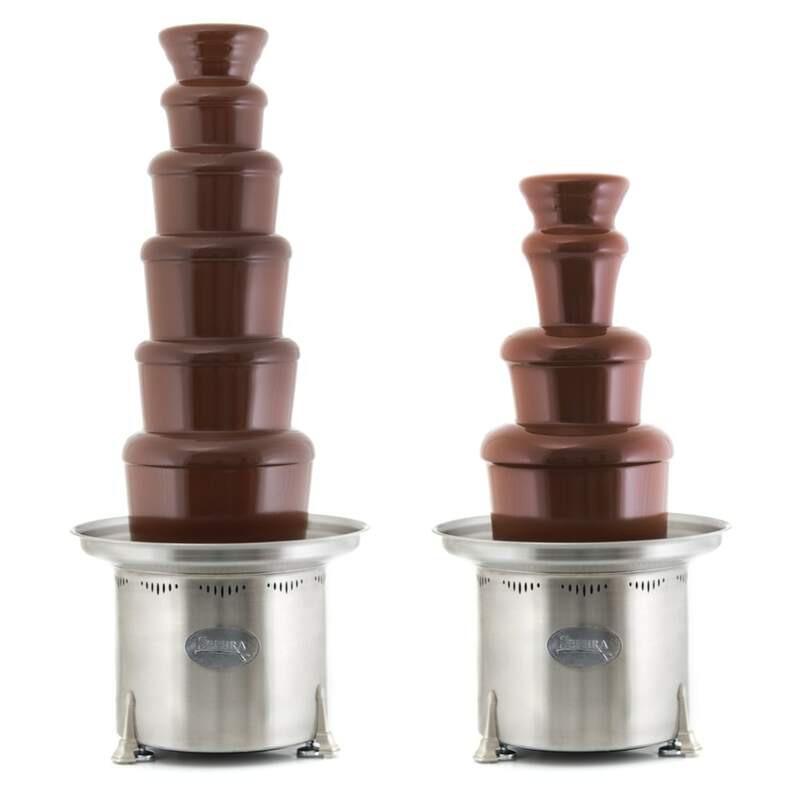 This Sephra chocolate fountain can hold a minimum of 14 pounds of chocolate up to a maximum of 20 pounds of chocolate and is recommended for serving between 150 and 200 people. To contain possible messes that might occur while guests are enjoying the chocolate fountain, the basin edge is rounded and provides a wider drip zone to catch chocolate that might drip off of dipped desserts. In addition to design elements that will benefit your guests, the Sephra 0.44.10173 (CF44R4) chocolate fountain includes features that make it easy to set up and clean. In addition to the QuickSet Tiers that provide a no-hassle assembly, the tapered bowl design helps prevent product waste. The unit is also capable of melting chocolate from a solid state to save time and eliminate the need for pre-melting. The temperature dial is analog and allows operators to easily select a temperature setting from 0 to 10. With food-grade stainless steel construction and a removable bowl, this Sephra chocolate fountain can also be easily cleaned after each use. Each fountain also comes with a quality transport case.